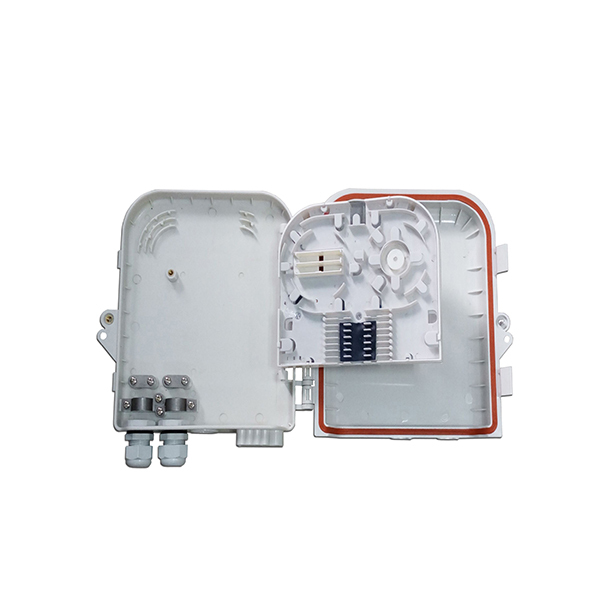 Fiber optic terminal box is an equipment that mainly used for the optical cable distribution ,the fusion of optical cable and pigtail,and the storage and protection of the fiber.It is suitable for the direct and branch connection of the optical fiber cable and protects the optical fiber connector. l Industry Standard User Interface, be made of ABS plastic. l Can accommodate 1x4,1x8, 2x4, 2x8 PLC splitter. l Up to 8 FTTH drops cables. l Wall mounting and pole mounting application. 1 oval or 2 round cable entry ports; 8 or 9pcs cable exit ports.